I felt like I didn't know what to do with it the last two events we did. This time it feels more right. 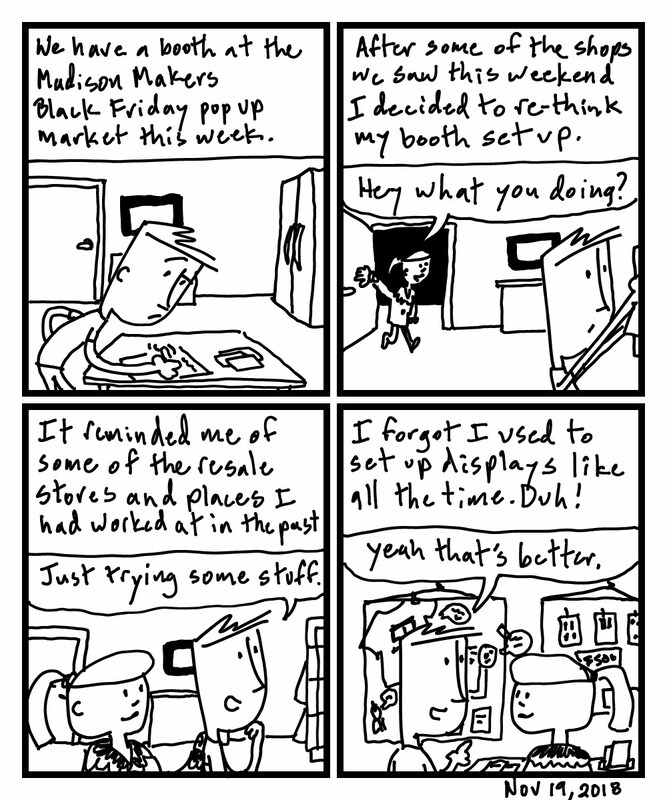 Come and visit us at the Madison Makers Black Friday Market & Pub-Crawl this Friday, Nov. 23 in the Brink Lounge.